Hema Malini who’s better known as Bollywood’s ‘Dream girl’ needs no introduction for the movie buffs. From her acting career to her notable-movies, the actor-turned-politician’s contribution to the Indian Cinema has always remained praiseworthy. The actress has always made headlines for her personal, political and social life. On her birthday, October 16, check out some interesting facts about the gorgeous actress. 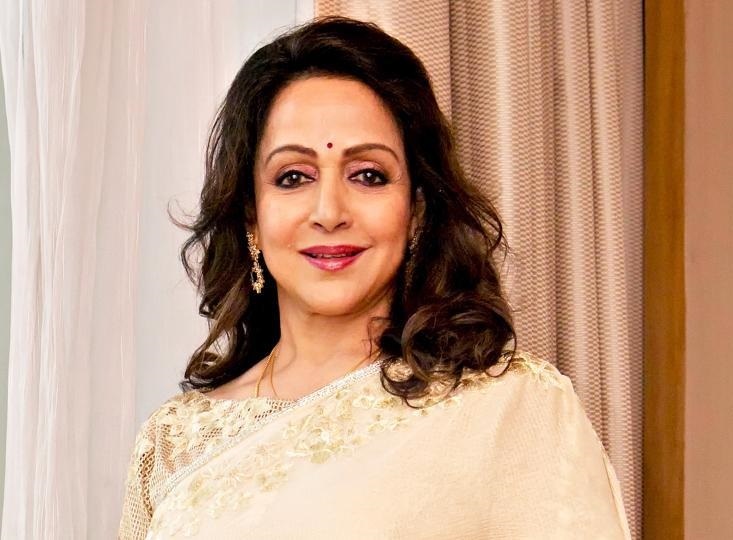 1.Hema Malini is a 10th standard dropout as she always wanted to get into films. In 2012, she received an Honorary Doctorate in Philosophy from Singhania University in Udaipur, Rajasthan. 2.In 1964, she was rejected by Tamil director CV Sridhar for not being a ‘star material’. The role was later grabbed by Jayalalitha. Hema Malini got her first break in 1965. 3.Malini made her acting debut in a Tamil film “Ithu Sathiyam” in 1963. She quickly became known as Bollywood s “Dream Girl.” She is a dancer, producer, and politician. Malini is known for her Bharatanatyam and Kuchipudi dance training and owns the Natya Vihar Kalakendra dance school. 4.She is a member of parliament for Mathura. She began her political career in 1999, supporting the Bharatiya Janata Party. 5.Malini is married to Dharmendra Deol, a famous actor whom she starred with in the majority of her films. 6.Her first film with her husband was called “Sharafat” in 1970. The couple got married in 1979, however, when the two met Deol was already married to his wife, with who he had Sunny, Bobby, Vijeeta, and Ajeeta Deol. Both actors converted to Islam because Deol s first wife did not want a divorce. Malini s parents were not thrilled about the marriage, but Deol and Malini’s story is one of the most talked about. The two had two daughters Esha and Ahana. Malini also starred opposite Rajesh Khanna and Dev Anand. The actress has starred in over 150 films. She s well known for playing the roles of Sati, Parvati, and Durga. 7.Malini has won numerous awards. She s received 11 Filmfare Awards for Best Actress nominations (won the award in 1972), won the Filmfare Lifetime Achievement Award in 2000, received the Padma Shri (a civilian honor given by the Indian government), received an honorary doctorate at the Sir Padampat Singhania University, and even received the Sopori Academy of Music and Performing Arts award. 8.She is known for her support of social causes, which primarily includes supporting PETA India. She s written numerous letters calling for the end of horse carriages and bull fighting. 9.Malini was in a car accident in 2015 where she fractured her nose. Media coverage of the accident made waves when they showed Malini s injured face to which the actress family was not pleased. A four-year-old girl died as a result of the crash. Malini herself caused waves when she blamed the girl s father for the accident and the girl s death.